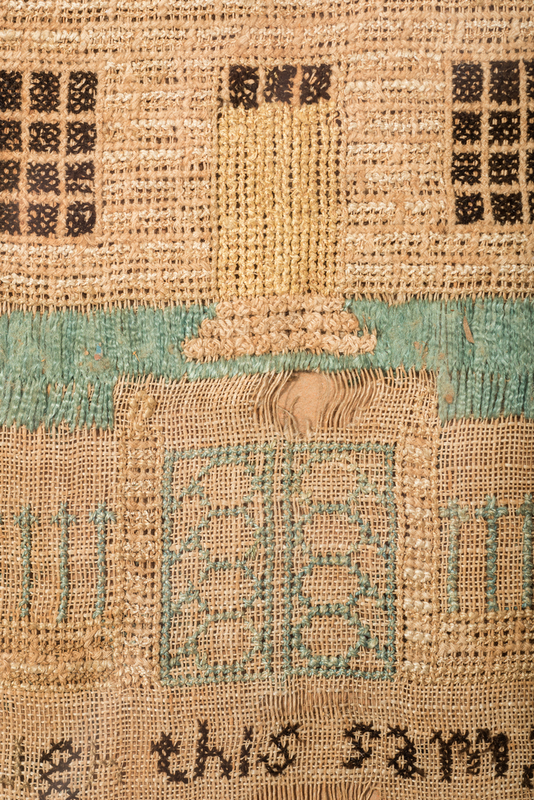 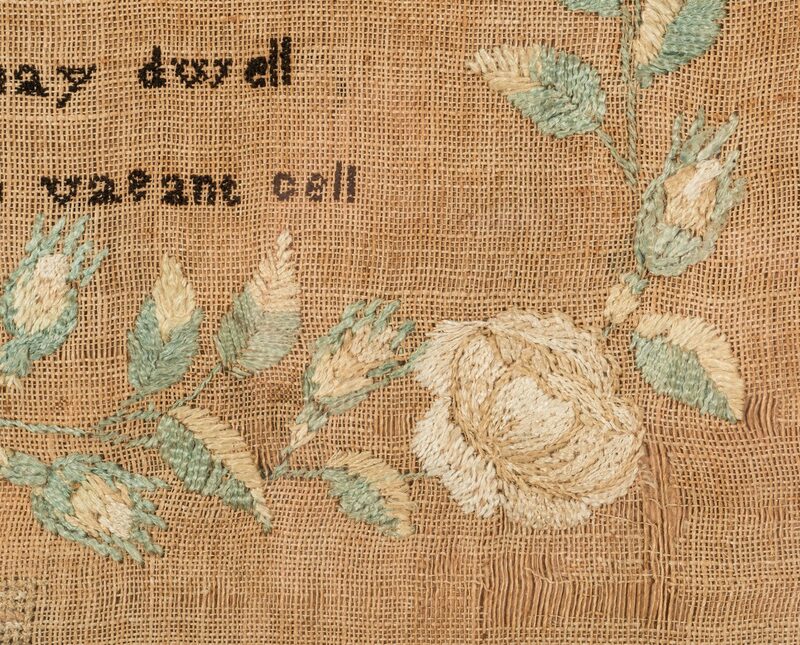 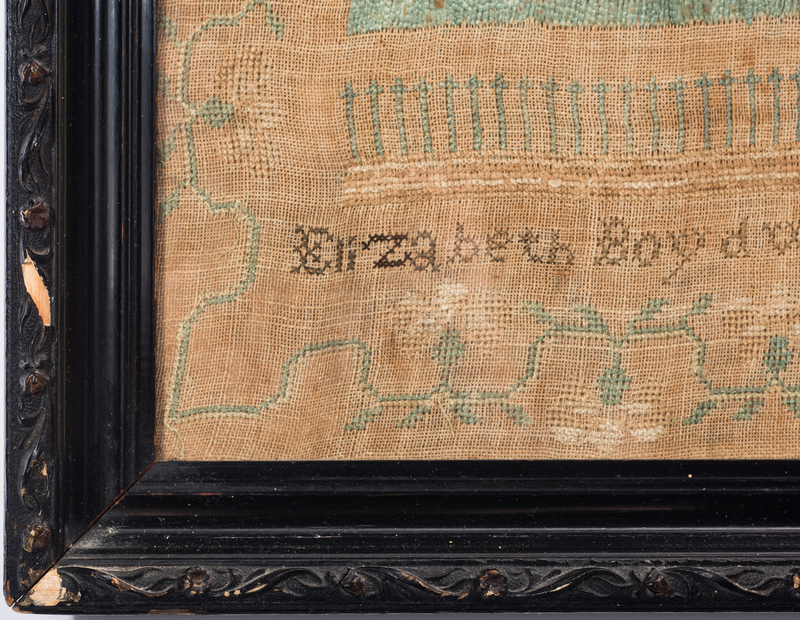 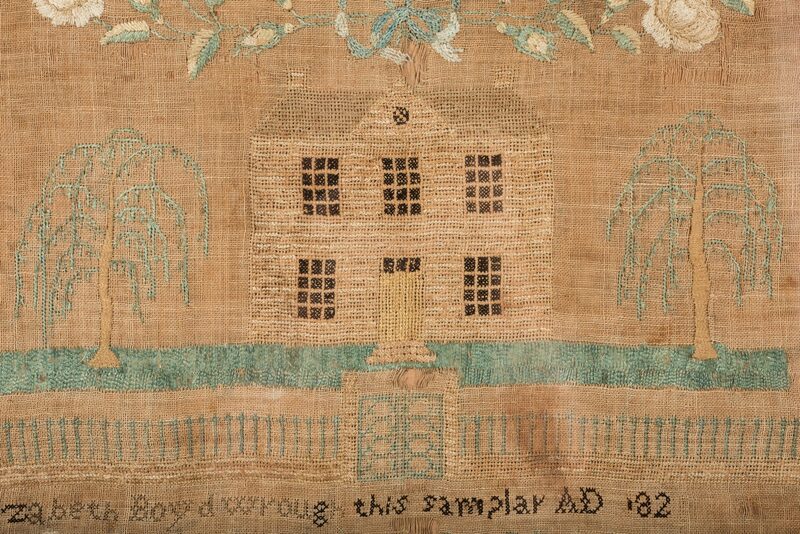 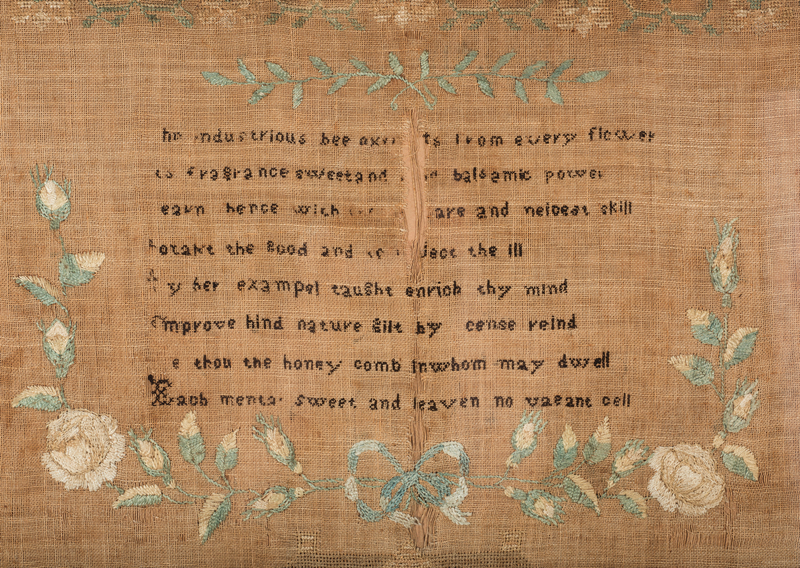 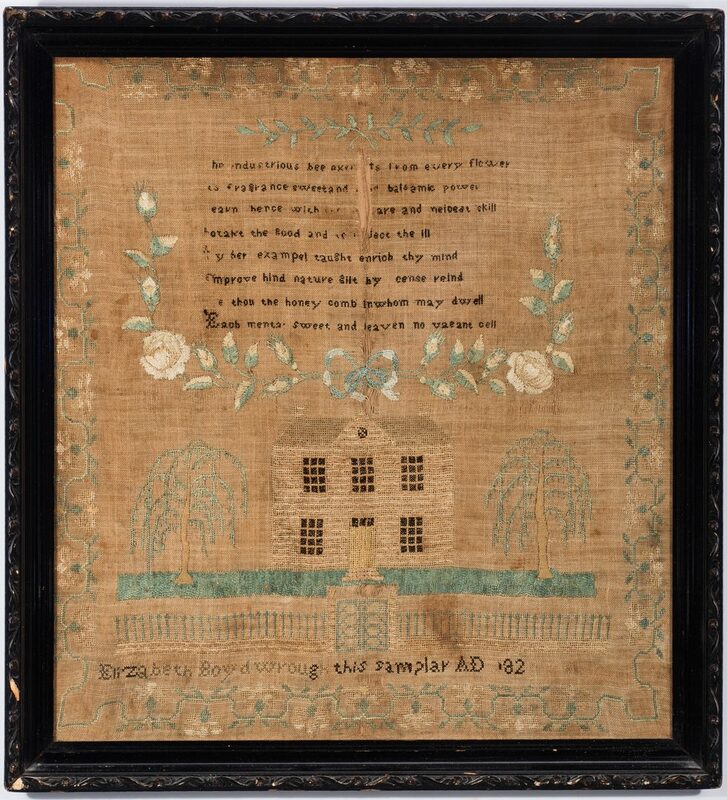 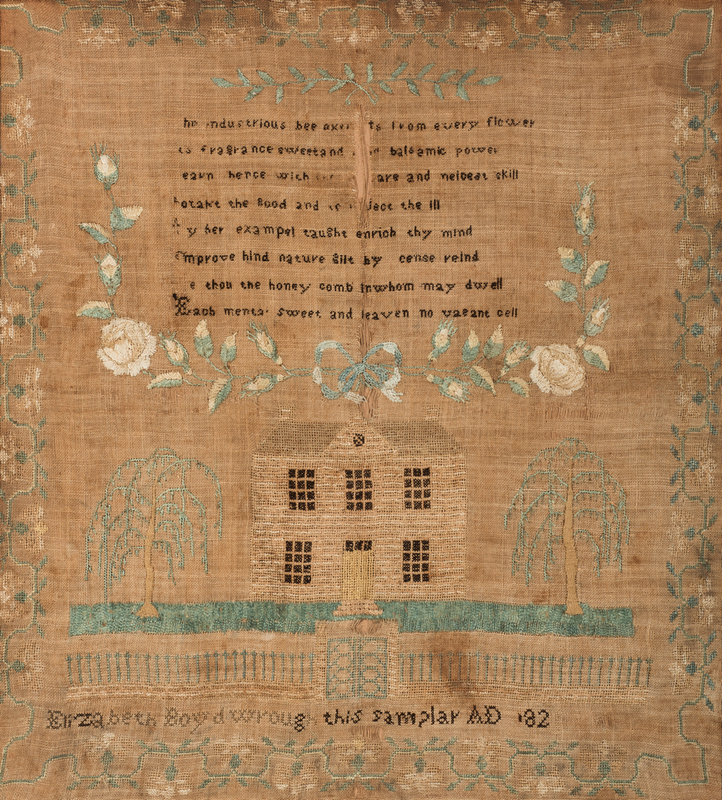 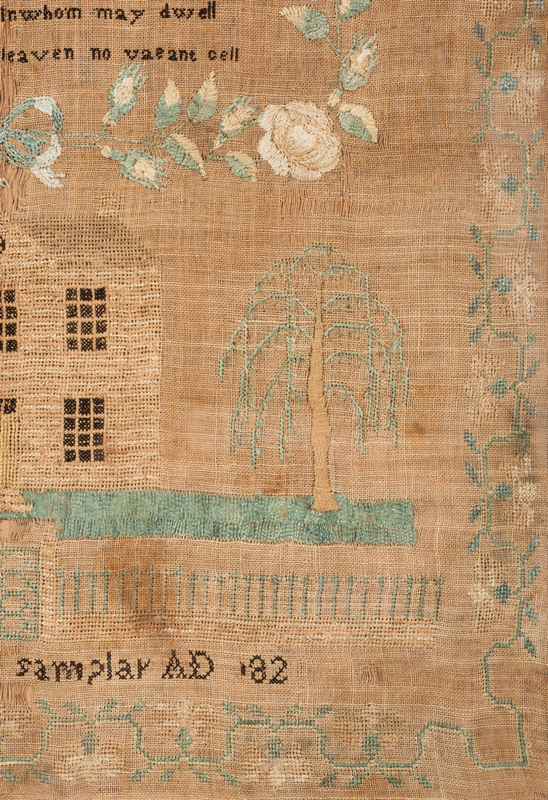 1820s Maryland needlework house sampler, silk on linen, signed Elizabeth Boyd with partial date 182_; wide floral and vine border enclosing a two story house with central pediment, framed by two weeping willow trees, behind an "eyeglass" garden gate and fence. 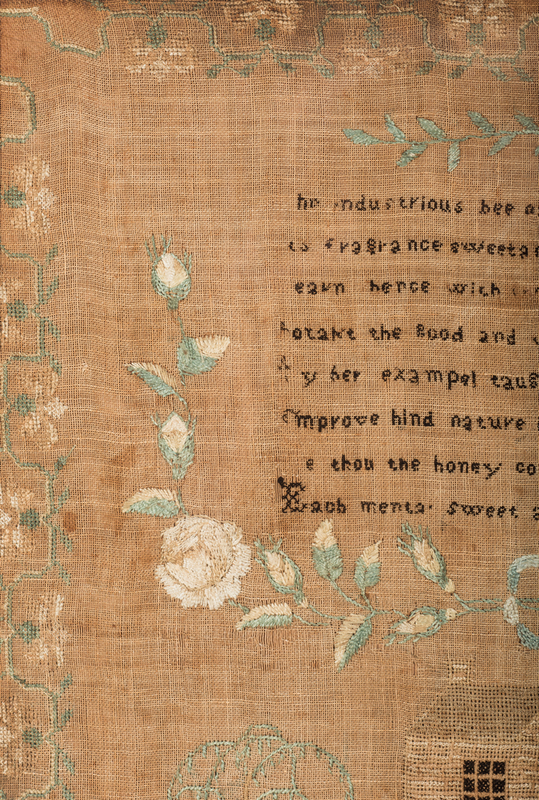 Floral cartouche with central ribbon and rose spray, enclosing an 8-line poem with subject of bee and gardening. Baltimore church records show an Elizabeth Boyd, daughter of Peter and Elizabeth Boyd, born 1 Oct. 1811, and another born 19 Aug., 1815 to Alexander and Mary Ireland Boyd. 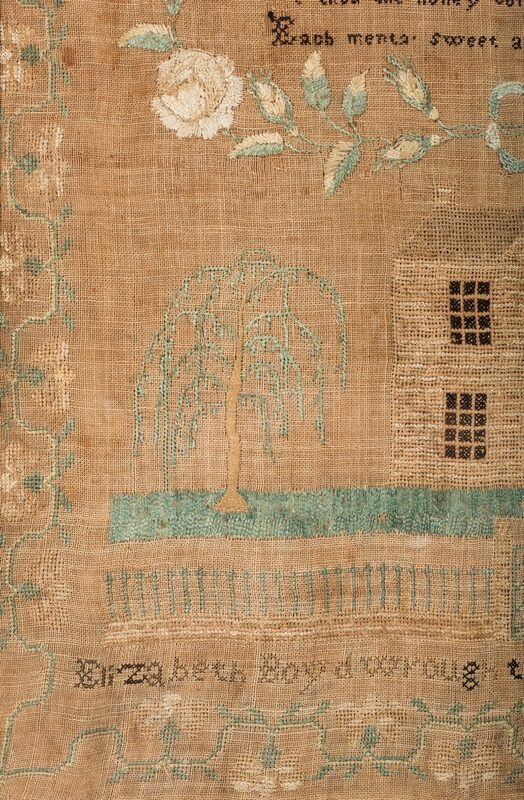 ( Research courtesy of Janet Hasson and Jennifer Core, Tennessee Sampler Survey). 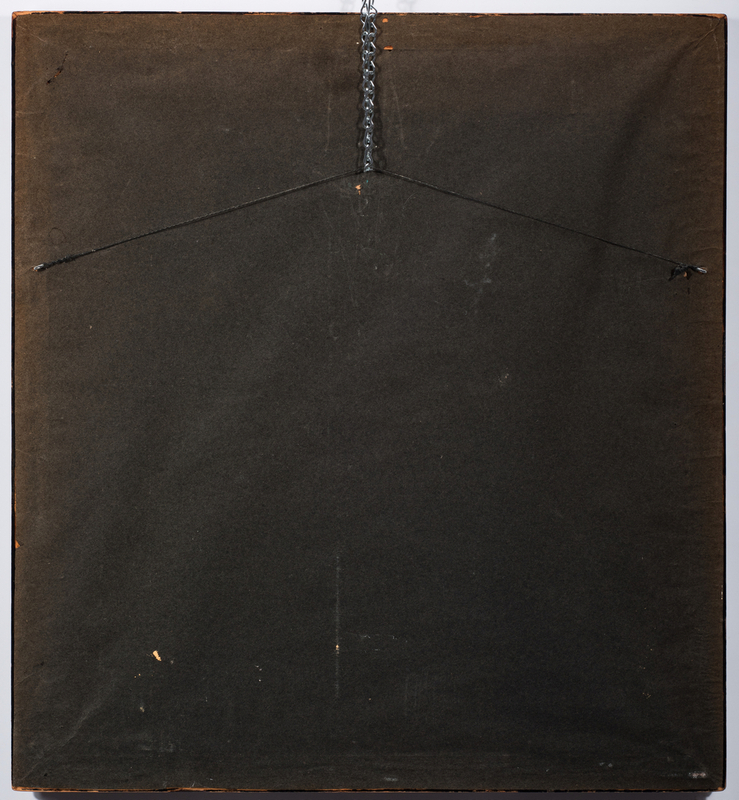 Sight – 21-1/2" H x 19-1/2" W. Framed – 24-1/2" H x 22-1/2" W. American, early 19th century. 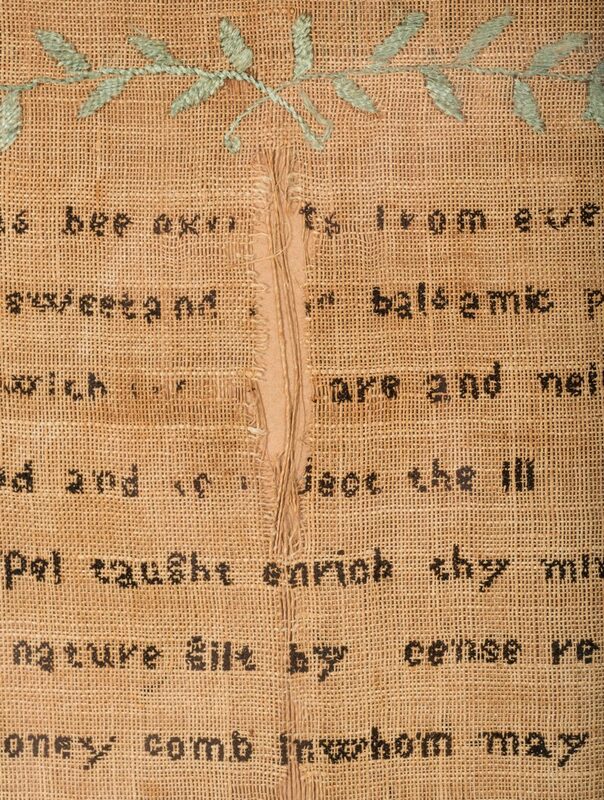 CONDITION: Losses to verse threads. 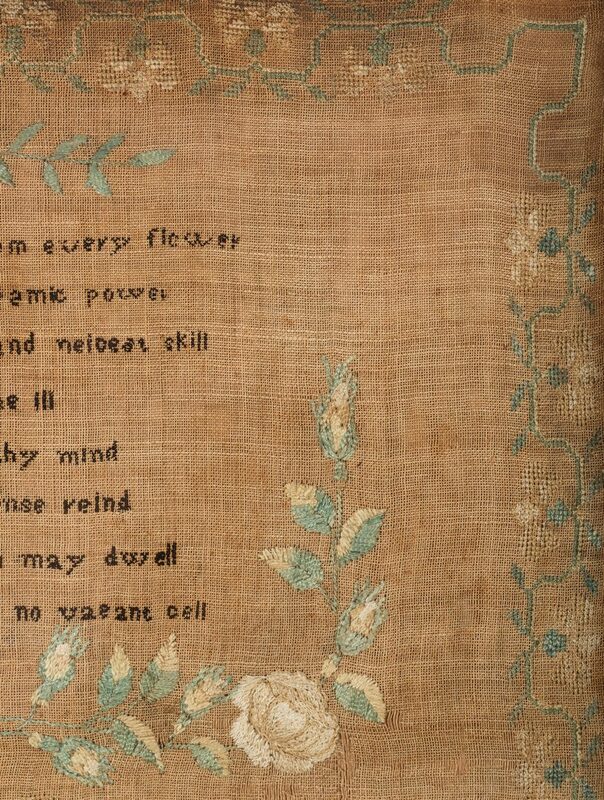 Fraying to linen ground along center through poem down to house roof and below grass. 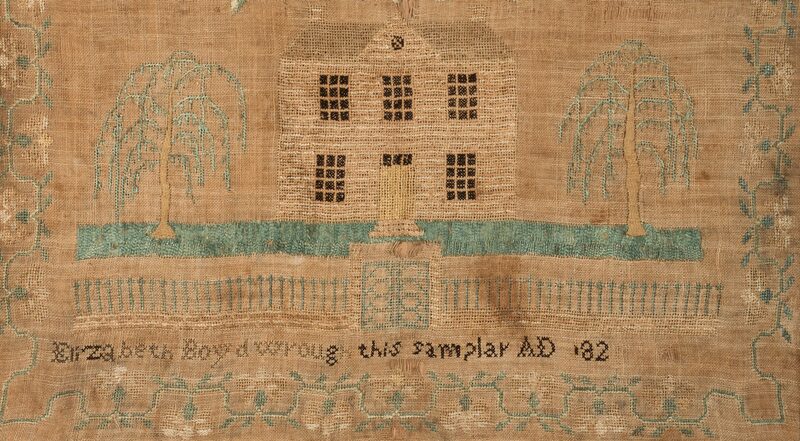 Scattered stains, largest to right of garden gate.